Who knew that just three simple ingredients could create something so spectacular? 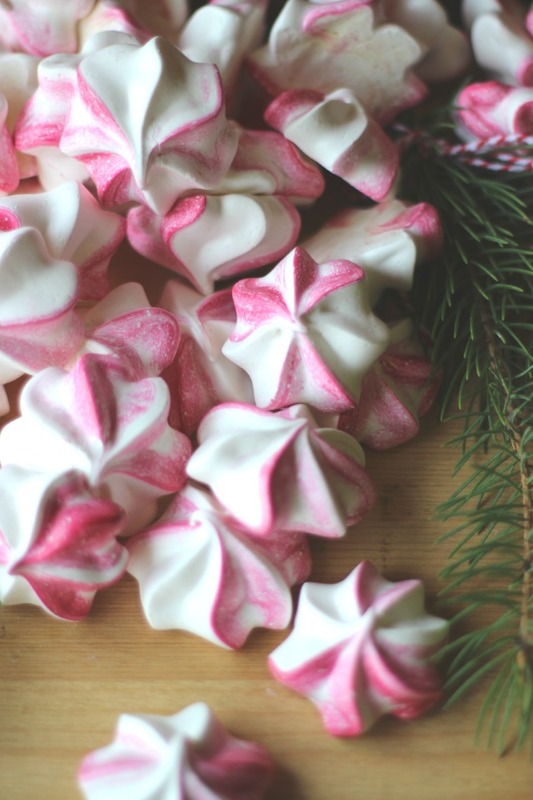 Our bakery makes these peppermint meringue cookies each year and they have become a staple in our Co-op. But since we're not selfish, we're sharing the recipe with all of you. It is the holidays after all. Preheat oven to 175 degrees. In the bowl of a stand mixer, whisk egg whites on medium until frothy. Turn the speed up to high and mix until soft peaks form. With the mixer running, pour sugar into the bowl in a slow stream and continue whisking until stiff peaks form. Stir in peppermint extract. In a pastry bag fitted with a star tip, paint a line of red food coloring down one side. Fill the bag with the meringue and pipe small circles on a parchment lined cookie sheet, leaving a couple inches in between each one. Bake for 1 hour and 40 minutes until crisp, but not brown.